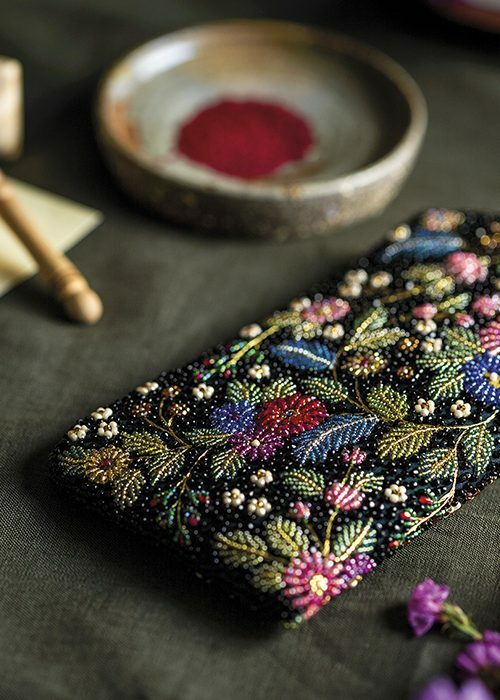 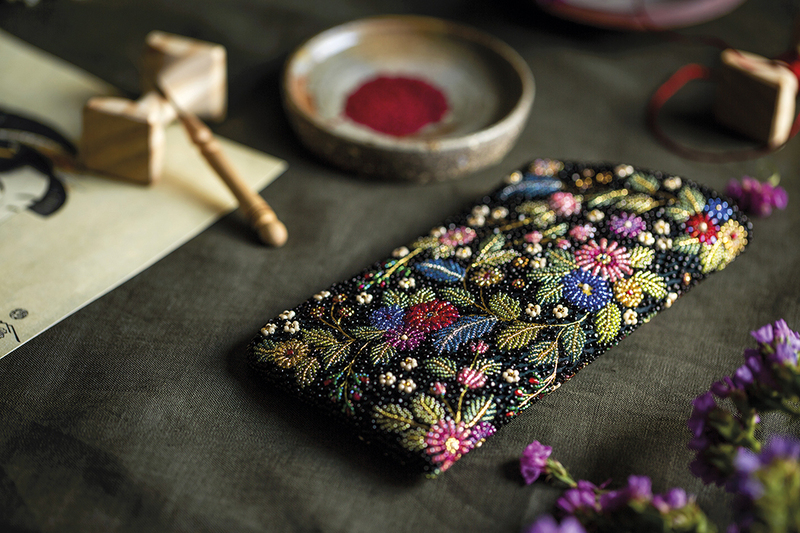 Beautiful glasses case adorned with beaded flowers. 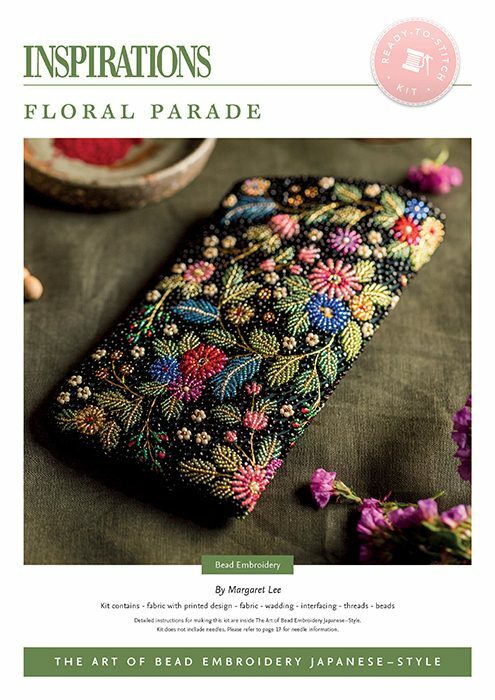 This is an interesting study as all the main flowers are stitched in a similar way and depend on the use of bead size, technique and design concepts to create visual dimension. 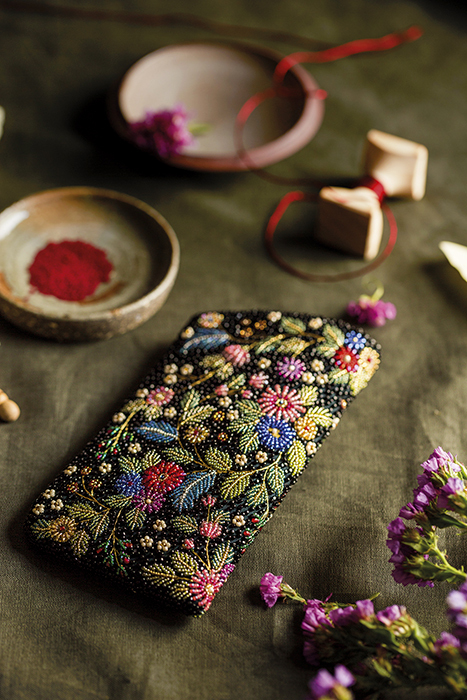 Some gilding and embroidery with metal threads are also used to add another dimension to the design. 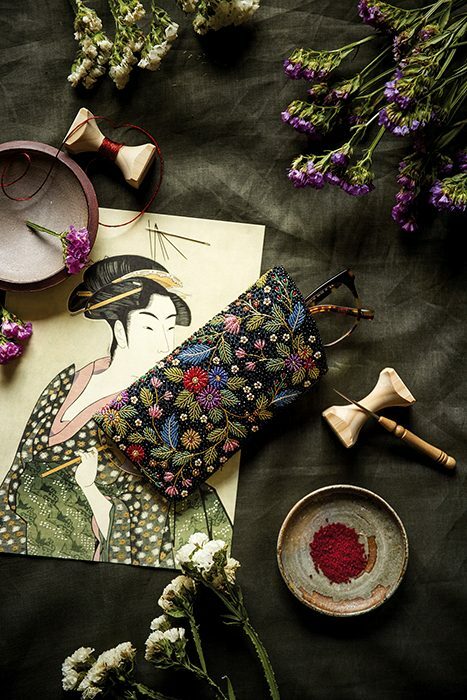 As there are many similar elements within the design, colour choices and their distribution are important factors for balance and flow.